They’re long gone now but I will be eternally grateful to my parents for migrating to Australia. Apparently it was a toss-up between Canada and Australia and I am so happy Down Under came up on top. As I learned all about its history after arriving in August 1966, a sense of wonderment developed in my head – a wonderment about the incredible achievement of my adopted country. And let’s face it, what I was in awe of what had happened since January 26, 1788. This was in in the late 1960s and the bicentennial celebrations of 1988 were still 20 years away. To my young mind building a modern nation in less than 200 years was nothing short of an amazing achievement. When you considered how big the country was and yet it had all the modern infrastructure, from roads and rail and electricity, it was an even bigger achievement. There’s no doubt in my mind this was just as laudable if not bigger and better what the Americans had achieved in their vast land across the Pacific Ocean. 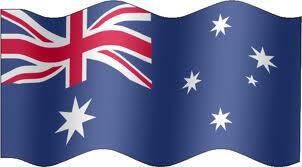 And of course here in Australia it had all started on January 26, 1788. There’s no denying that the First Fleet had not landed in an empty land. It’s well documented that Australian Aboriginals had been living here for thousands of years. And while the arguments against January 26 as Australia Day are understandable up to a point – Invasion Day and the rest of it – it is an incontrovertible fact this is the day modern Australia came into being. Since that day 231 years ago this country has become one of the world’s great nations. It offers great climate, beaches, nature, well, we know how good it is. It’s that good some people are willing to risk drowning at sea to reach our shores. Again, it’s because of January 26, 1788 and what took place subsequently. Sure, let the debate go on in a civilised manner, but Australia Day should always be on January 26.